NEED YOUR MACBOOK OR MACBOOK PRO GLASS REPAIRED? In 2008, Apple introduced a few great machines that go by the names Macbook and Macbook Pro. While the names were not new, the design was completely radical and different. These were the first laptops that Apple produced the a full glass sheet as the screen! These things were and are still some of the most beautiful things created by Apple. There was/is one problem however, that glass that covers the LCD screen happened to be pretty fragile! Misplaced pressure on the screen could have you squinting trough cracked glass very quickly. Thinking back to 2008, we actually had a repair the very first day the Macbook Pro was released! This is a typical crack on a Macbook/Macbook Pro. It will start on one corner and continue to grow across the screen. You can imagine being a photographer or a graphic designer trying to use something like this. It will be impossible to view your image correctly! That is the same for the Safari surfer and spreadsheet creator as well. When there is a giant crack down the middle of your screen, it is just flat out distracting! So as we did in 2008… we still do in 2014… repair those pesky broken glass panels with a brand new, crack free replacement! We take the time to remove all of the glass from your macbook and macbook air, leaving behind no trace of the once a tragic accident. We wipe clean all the dust, finger prints and particles that naturally settle on your LCD screen and drop in place a beautiful, clap piece of glass! Let me tell you, if you ever have a chance of seeing this repair preformed, take the opportunity. It is like a dangerous ballet. Flying glass shards gallop towards your eyes for sure! After all of these years, we still offer these repairs and people are still taking full advantage of our great prices! So if you are finding yourself in this same predicament, click on the following links to get your repair started today! As always, never hesitate to call us: 866-638-8402 or email us: sales@missionrepair.com with any questions! We are going to try something different this week at Mission Repair – and add a few VIDEO BLOGS! Well, for my first video blog entry…what do you think? Have you ever had that funny feeling when you hear or see yourself on audio or video? Yeah…I have that right now. Fusion Drive Upgrades on Mac Laptops? Only at Mission Repair. Hello everyone, it’s an exciting day here at Mission Repair, and we’re happy to bring you our brand new service for Mac Laptops that are in need of an amazing upgrade! The process or result of joining two or more thing together to form a single entity. So what is a Mission Repair Fusion Drive Upgrade? Our all new Fusion Drive Upgrade is the right way to upgrade your Mac Laptop. Fusion Drive is a breakthrough concept that combines the high storage capacity of a traditional hard drive with the high performance of flash storage. With Fusion Drive in your Mac Laptop, disk-intensive tasks — from booting up to launching apps to importing photos — are faster and more efficient. That’s because frequently used items are kept at the ready on speedy flash storage, while infrequently accessed items go to the hard drive. The file transfers take place in the background, so you won’t even notice. As the system learns how you work, Fusion Drive makes your Mac experience even better. Q: I like the idea of an SSD in my computer. What model Solid State Drive do you install? A: We love it too! We only use tried and tested components. In particular, we will install a 120GB Other World Computing Mercury Electra 6G SSD drive into your Fusion Drive Upgrade! Q: What will happen to my data? A: The short answer is nothing! The long answer is that we will make a clone of your data as it sits onto a temporary drive. We will then install the SSD drive with a custom drive mounting bracket, remove your optical drive (which you can have us install into an external enclosure if you’d like) and connect it to your existing hard disk drive. Our technicians will work their magic by creating the Fusion Drive and then reinstall your data and software. You’ll get your laptop back working as it did when it arrived. Just a lot faster and both drives work seamlessly together. Q: What if I want to upgrade my hard drive at the same time? A: Of course, this may be a perfect time to have your mass storage drive upgraded but it’s not necessary Just choose from the available options when checking out, and we’ll always send your original drive back to you. It’s yours, right?!? Q: Will it work in my machine? A: There are a few limitations. Basically, we can upgrade any 13″ MacBook Unibody or 13″, 15″, 17″ MacBook Pro (not with Retina display) that is running OS 10.8 or higher. We will remove your optical drive to make room for the new solid state drive but if you have any questions, please give us a call at 866-638-8402 before ordering! So another first from Mission Repair, just as you’d expect. 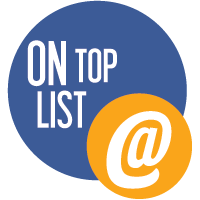 Again, give us a call if you have any questions, but we’re performing upgrades as we speak and customers are in love with their new found performance. Hello everyone, it’s been a heck of a Monday here at Mission Repair. OK back to business, it’s 5:26pm and I still have a few hours of work left to accomplish. It’s crunch time and I have to get to work. Even though when I look at these video it feels like I’m back at the lake! Price Drop: Ram Of All Shapes And Size! We have some price drops to talk about today. We don’t see this to often with RAM, but alas, here it is. A mega price drop that is sure to please. We have slashed each service by about $50.00! What is “RAM” exactly? Well, it is an acronym that stands for Random-access memory which is a form of computer data storage. A random-access device allows stored data to be accessed in very nearly the same amount of time for any storage location, so data can be accessed quickly in any random order. If you find your computer running a little sluggish, a good place to start is the RAM. The more applications you use at once, the more your ram is pressed. Our Apple Certified Repair Technicians will always use the correct spec in your device and split up the ram between all available slots to create a smooth running machine. Below you can view the different Apple specified RAM services that we offer. 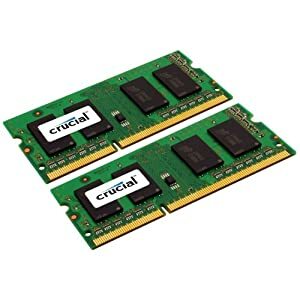 We can go above 8GB if you computer is compatible, so if you feel you need more than 8GB, give us a call at 866-638-8402 and we can help you find out your maximum RAM capacity. We also have the ability to replace RAM an any PC as well. Please be on the look for those services to be added, but in the mean time, give us a call if thats something you need. 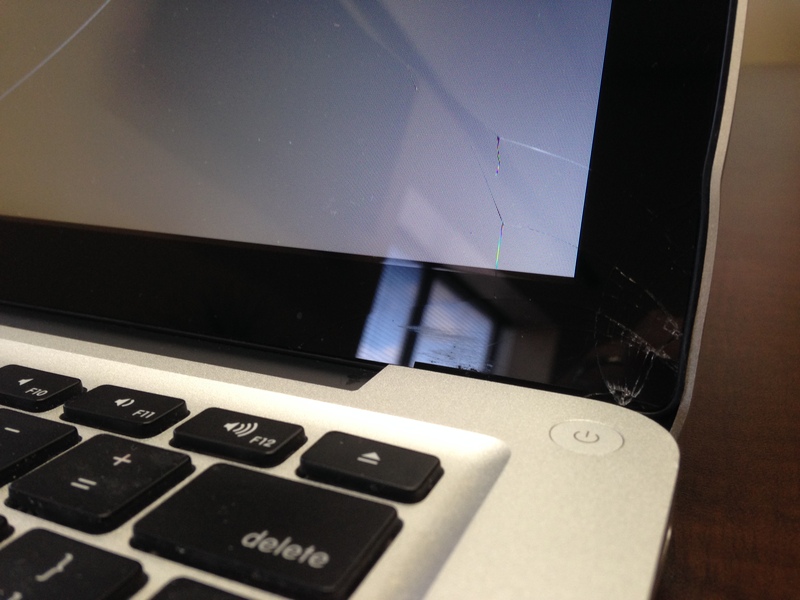 Faster Service On 11″ And 13″ Macbook Air Screen Repairs! Things at Mission:Repair are always moving at a fast pace. From our Customer Service to our Shipping and Receiving departments, things just fly. This is by design. The quicker we can receive, test, repair and quality check your device, the better for everyone. So you can imagine my elation when we shave some time off of a particular process. We have done so with our Macbook Air Screen services! What used to take a full week to repair, has now been shaved to only 72 Hours!